Shepherd King Publishing lives by its name -- shepherding Christian authors through the complicated maze of publishing. Whether it's publishing with a traditional house, or self-publishing, we've been through the gauntlet, and more than once. We're here to help you tell your story. We'll give honest feedback on your manuscript, provide editing, and shepherd you through the process. If your novel is outstanding, we may offer to become your publisher. We're young and hungry, so our fees are as affordable as you'll find. But that will change. We simply know too much about the big picture of publishing to not offer our knowledge to first time authors. 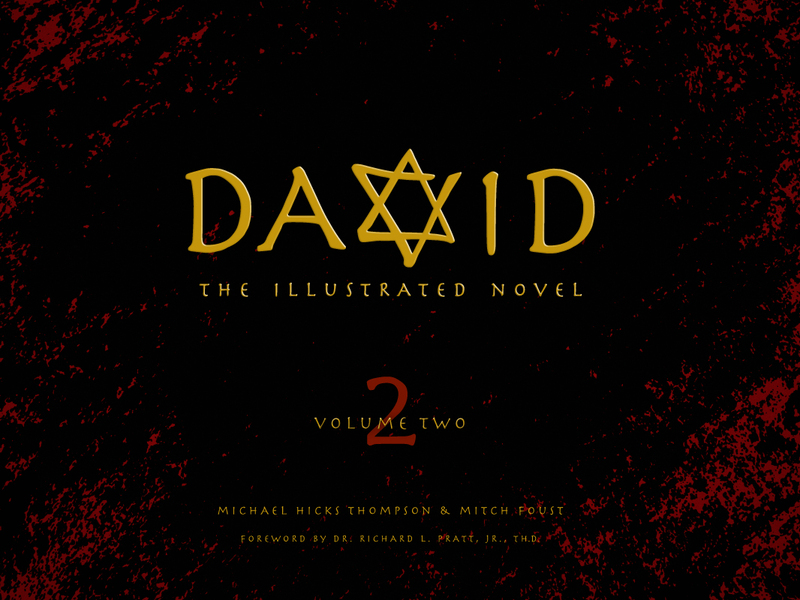 DAVID--The Illustrated Novel, Vol 1, won the Silver Medal as second best Dramatic Graphic Novel for 2011. This hard bound, 128 page (with over 400 panel illustrations from 5 different artists, and story by Michael Hicks Thompson) depicts the life of David from age 15 to 30. It is truly a masterpiece of art, story, and history for all ages. Available from Shepherd King Publishing, and for libraries, through wholesalers, like Baker-Taylor. For bulk orders email michael@shepking.com. 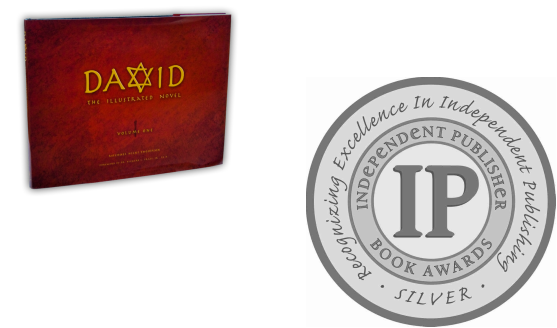 Volume 2, David from age 30 to 70, won BEST GRAPHIC NOVEL and BEST INTERIOR DESIGN, from The International Book Awards. The INTERNATIONAL BOOK AWARDS competition has released 2013 Winners and Finalists for 80 categories from thousands of entries. DAVID--The Illustrated Novel, Vol. 2 won BEST GRAPHIC NOVEL and BEST INTERIOR DESIGN. ​ Michael Thompson & Mitch Foust are humbled by this recognition. Books are available from Ingram, Baker-Taylor, or directly from Shepherd King Publishing. Write to michael@shepking.com for pricing and delivery. Shepherd King Publishing is now offering 70% off of retail prices in order to move inventory and make room for our other novels! Michael had a life-size model of the ark of the covenant and Goliath's suit of armor made for his book signing tour of the DAVID books.